Hairdresser turned one-of-a-kind jewelry artist Dana Voorhees has always believed beauty has nothing to do with looks—and everything to do with attitude. “It’s all about how beautiful you feel,” she says of her women-empowering philosophy. 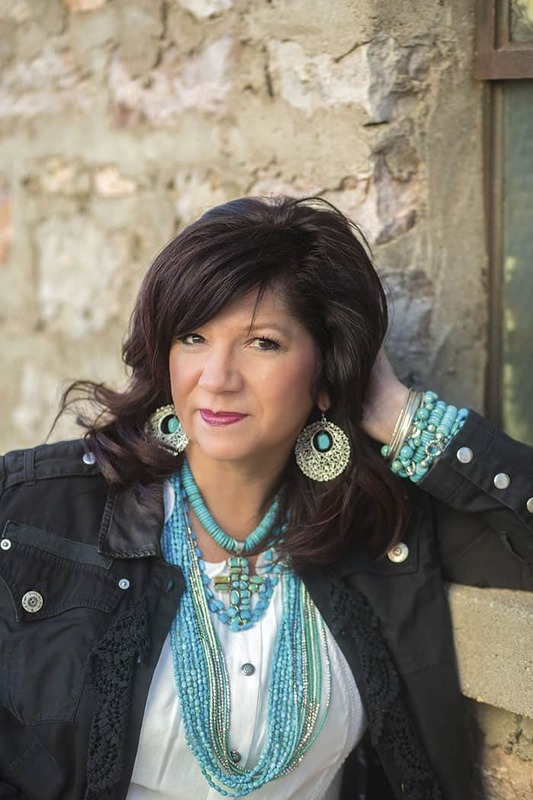 Voorhees is a native of the Black Hills of South Dakota, where she grew up on a ranch before raising her own family of seven children in the same area. The stunning natural landscape that surrounds Voorhees became the canvas for her creations. “I’m always out looking and ready to be inspired, and God has provided me with a wonderful pallet,” praises Voorhees. “I’m so blessed to live here!” Voorhees adds that inspiration often strikes while she is walking her dogs in the woods or out riding her horses. “Black Hills Blossom” is one of the pieces that exemplifies Voorhees’ commitment to quality. 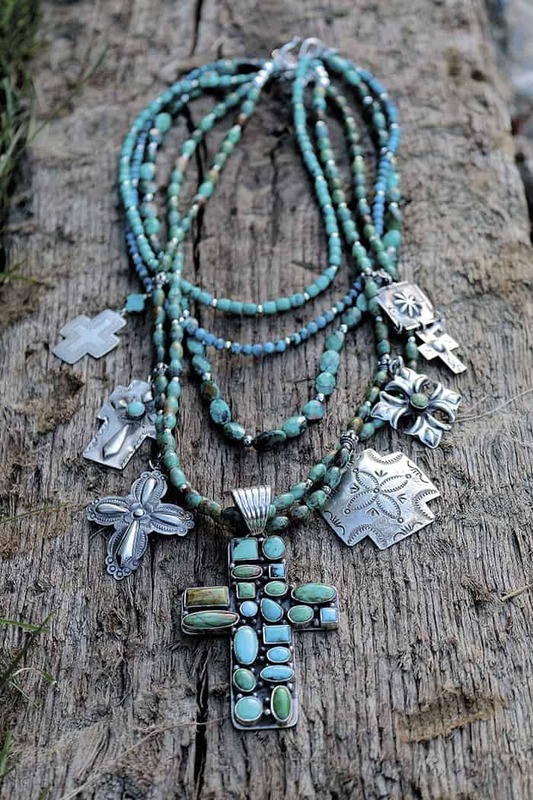 The necklace is a modern twist on a traditional turquoise Naja that features Sleeping Beauty Turquoise in a stunning sterling silver setting. 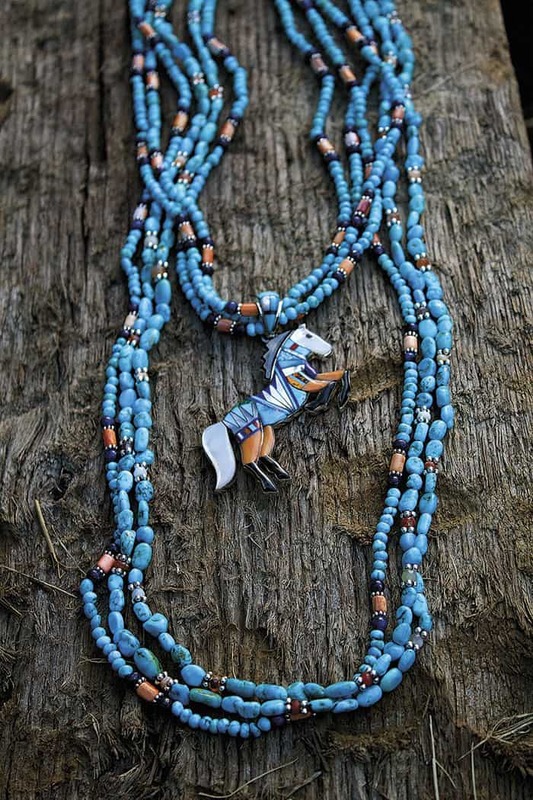 It’s offset by two strands of faceted Bisbee Turquoise and a third strand of faceted chrysocolla stones, also sourced from Bisbee, Arizona. 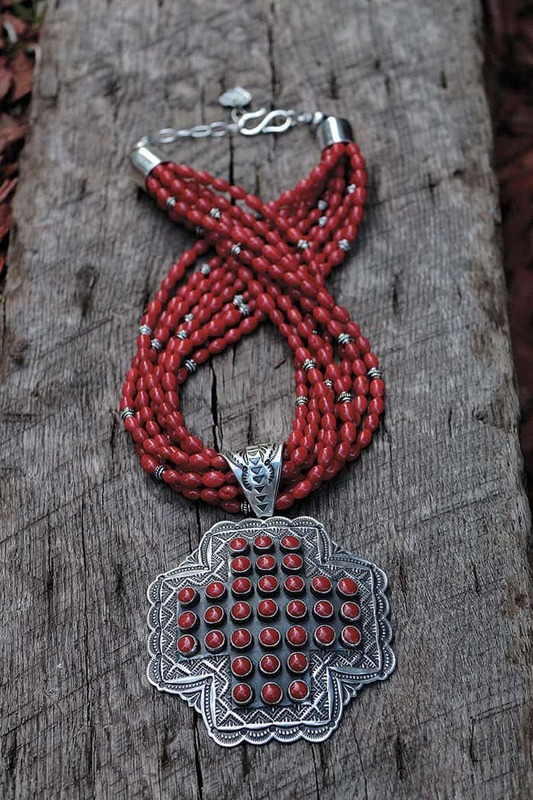 Voorhees designs and manufactures about 200 sets for her collection each year. The prices range from approximately $75 to $1,500, offering a price range that women from nearly all walks of life can afford.